Some of the most tragic and catastrophic injuries occur when an accident victim suffers a serious arm or hand injury. We need our arm and hands to do almost any kind of work and to perform the most rudimentary tasks, such as eating, drinking, driving, tying our shoes or holding an object. Imagine how your life would drastically change if you suffered loss of, or use, of a hand or arm? Because these injuries can be so life-changing, consult with an experienced Boston arm injury lawyer if you or a loved one sustains such an injury. 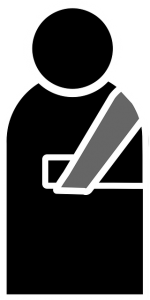 It is not unusual for victims of serious motor vehicle and car accidents to suffer injuries to their arms and hands. A prosthetic limb costs thousands of dollars and have to be replaced approximately every five years, depending on its condition. 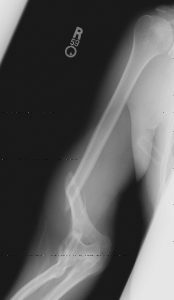 Amputees often have to be retrained in new occupations and may have to undergo intense psychological to adjust to a new way of life and to endure the stares and comments from others regarding their amputated or disfigured limbs. Because these types of injuries can be so devastating to the victim and their families, consult an experienced hand accident lawyer if your injury was caused by the carelessness of a third party. Many arm and hand injuries occur to construction workers; they are the victims of more arm and hand injuries than in any other industry since they are routinely exposed to falling objects and electrical wiring, work with dangerous equipment, and often work from great heights. These workers can suffer hand crushing injuries or have their limbs torn or punctured if caught in machinery. Contact with toxic substances is common such as solvents, acid and flammable liquids that can all cause serious nerve damage and burns. For those individuals whose injuries occurred at their work places, they are entitled to workers’ compensation benefits regardless of fault. Benefits include disability payments for a hand or arm injury or amputation, medical costs and rehabilitation expenses. However, your lost income benefits may be severely limited. In many of these cases, third parties are responsible for your injuries. A contractor unassociated with your employer may have carelessly neglected to install safety devices, failed to warn you of hazards or used poor quality materials. A piece of equipment may have been defectively manufactured or designed. An experienced and resourceful personal injury lawyer can conduct an investigation to determine if other parties were responsible for causing your injuries and get you the compensation that you deserve. Even if you collect workers’ compensation benefits, you can still make a claim against a party other than your employer who may have contributed to your injury for compensation considerably more than what you collected in benefits, though the workers’ compensation insurer is entitled to reimbursement. There are many personal injury lawyers to choose from in the Boston area, but few who have had the experience and success in handling catastrophic arm and hand injury cases.